LONDON (VIP NEWS) — David Guetta's single Titanium has hit the one million download sales mark, according to the Official Charts Company. It means the French DJ now claims two of the biggest-selling download tracks of all time. His first song to break through the one million sales barrier in the UK was The Black Eyed Peas track I Gotta Feeling, which was co-written and produced by the dance producer. "It's incredible," said David Guetta. "It took me a long time to break the UK as an artist; a decade. "To see all the hard work pay off and have the support of the British people makes it all worthwhile." According to the Official Charts Company there are only a select number of artists, like 1960s band The Beatles and 1990s girl group the Spice Girls, who have managed to sell two million records in the UK through their career. 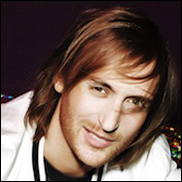 Since debuting in the UK's singles chart in 2002 with Love Don't Let Me Go featuring Chris Willis, David Guetta has sold a eight million singles and nearly 1.3 million albums. He's also worked with Rihanna, Jessie J, Nicki Minaj, Usher, Flo Rida and Kelly Rowland to produce electronic dance tracks.